An active member of the community, Tim Whelan joined the Board of Commissioners in December 2012. He is a member of organizations such as the Knights of Columbus and the Wheaton Lions Club and is a committeeman with the Milton Township Republicans. 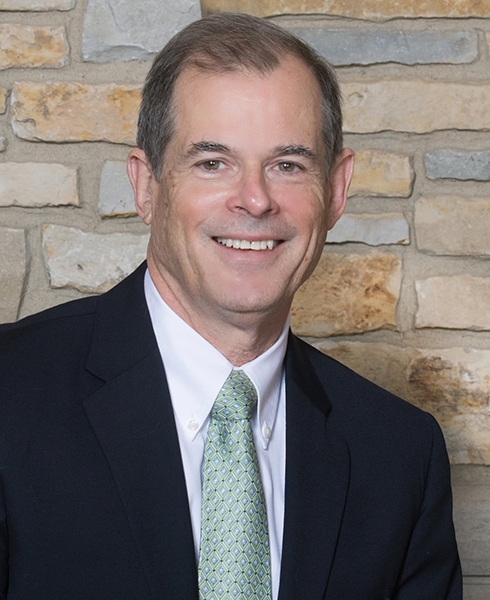 Leadership roles as a Director of the DuPage County Bar Association and a member of the DuPage County Regional Board of School Trustees have provided Whelan with perspective on working with other board members toward collective decision making and accomplishment. “Knowledge of both legal matters and the educational needs of our community are assets I rely upon as a commissioner,” says Whelan. Whelan attended meetings of the Board of Commissioners for many years prior to being elected to represent District 4. He remains focused on the fiscal and budgetary decisions that face the agency. Whelan is committed to responsible spending and accountability to the residents of DuPage County. Hiking and biking through Danada and Herrick Lake forest preserves are some of the commissioner’s favorite outdoor activities. He notes that the forest preserves have some great fishing spots, too, and jokes that an angler would never share his best-kept secret locations. “Raising three kids and supporting youth through Scouting, church activities and sports has really made me appreciate the many experiences and opportunities our green spaces provide,” he adds. Whelan has lived and worked as a practicing attorney in Wheaton and Glen Ellyn for 32 years. Tim has long enjoyed walking and biking in the forest preserves with his wife Sylvia, his three sons and his daughter-in-law. “I am certain that serving as a commissioner will be one of the most enjoyable achievements of my life,” Whelan says..